Note: This essay on the history of politics and population in Australia was written in 1998, at a time when the Australian government still felt it had to at least pay lip-service to environmental arguments. The CSIRO was still publicly owned, as were electricity and water. 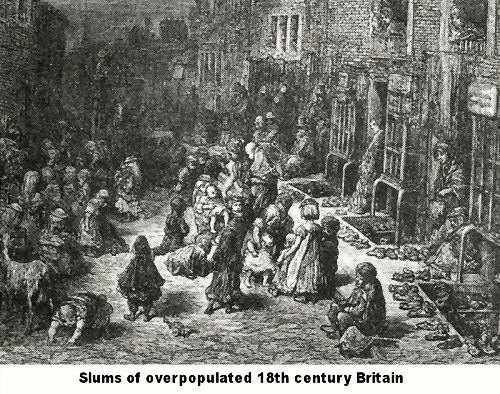 Homelessness was considered unusual and scandalous. People mostly expected their government to listen to them. The author is aware that many of these attitudes will now seem a little strange, so quickly has overpopulation and loss of democracy overtaken this country. Most readers will never have heard previously of a number of books on population in this essay, including W.E. Hern's remarkable Plutology, which dominated Australian economics syllabuses for 60 years. Contemporary documents indicate that Malthus's economic and demographic views impacted strongly on Australian culture from an early time and were reinforced later by Darwin's theories. When academic political economists abandoned the Malthusian principles of economic protectionism and demographic prudence,1 these nevertheless continued to underpin the world view of much of the Australian scientific (natural sciences) community as well as popular political and economic sentiment. A reason for this was that, whereas mainstream "Western" economic thought diverged markedly away from Malthus, via Ricardo, mainstream scientific evolutionary discussion continued to build on his distinctively organic ideas, via Darwin.2 The disciplines of economic and natural science have since continued to have less and less to say to each other. These trends were not peculiar to Australia, but this historic record suggests that, while the natural sciences' view on population dynamics was partly eclipsed by that of economics, it has retained greater dominance in Australia than in comparable countries. Cook's expedition to Australia prior to settlement was truly scientific and the continent subsequently became a hub of scientific research and activity. Largely due to the protection geographic isolation afforded, Australia was able to develop distinctive cultural, economic and political streams and the "natural sciences" perspective has survived to feature prominently in Australian population policy discussion at national enquiry level, whereas, in Europe and the U.S. this discussion is dominated by socio-economic and ethno-cultural paradigms. The Malthusian scientific view dovetailed with Australian agricultural thinking, for Malthus's economic writing complemented his demographic theory and appealed to agriculturalists. In his essay, Grounds for an Opinion on the Policy of Restricting the Importation of Foreign Corn, Malthus made the point strongly that it was only where rent was high, that is where profits were considerable on agricultural products, that agriculture would expand into marginal lands. Where profit was low, the cost of extending agriculture was too high and farmers tended to restrict production to the most high-yielding areas of their properties. Malthus thought that achieving high profits required a degree of protectionism and he also endorsed limited national self sufficiency, with government able to oversee the security of the production of staples.3 His policies would have suited early Australian settlers in an economy where Malthus's protectionist theories lacked the opposition provided in England by a strong industrial manufacturing sector. In fact protectionism dominated Australian agricultural and foreign policy from early times, and, until the 1980s or thereabouts, provided rare common ground for both labor and capital. In 1770, under the auspices of the Royal [scientific] Society of England, Captain James Cook sailed to Tahiti officially to observe the transit of Venus, but also to spy out new land. While searching for Van Diemen's Land (now an island State of Australia called Tasmania), Cook's vessel was blown off course and he and the scientists accompanying him, one of whom was Joseph Banks, the botanist, landed at Botany Bay, on the South East coast of Australia. There they stayed for eight days. Joseph Banks was able to observe many strange new plants and animals and, a man of his times, wrote several paragraphs wondering at the low density of the Aboriginal peoples. Malthus reveals in his second essay on population that Banks' remarks were the cause of his first famous "Essay on the Principle of Population," but he confuses Banks with Cook. It was Joseph Banks, the botanist, who proposed that the British government might relieve the overcrowding of its prisons by sending convicts to New South Wales, the South East tip of Australia. Settlement of other parts of Australia was no less fraught with difficulties, especially in expanding agriculturally productive territory. What was to become the second most populous State, Victoria, adjacent to the State of New South Wales, proved inaccessible by land for a very long time, due to the intervening uncharted and extensive Blue Mountains. The capital city of Melbourne was not established until 1836 and Victoria did not become separate from New South Wales until 1851. This was the same year as the beginning of the gold rush, which accelerated economic development and demographic growth. Exploration was really only completed around 1865, by which time Australians had basic information about the resources and limitations of the continent. Immigration schemes sponsoring cheap or indentured labor eventually replaced convict labor and, between 1830 and 1850, about 125,000 immigrants arrived in New South Wales and Victoria, and another 60,000 in West Australia and South Australia. Settlers found land so infertile that many had to release their indentured laborers because they were unable to feed them. Ladies and gentlemen were obliged to scavenge from their fields with their own hands.17 Between 1851 and 1857, 400,000 migrants poured in from Great Britain and Europe and Asia, including 40,000 Chinese and many poor Irish, the latter fleeing the famine conditions and typhoid that the great potato blight had brought. Banks and Cook's discoveries and subsequent explorations and specimen collections from Australia's peculiar ecology had caused a furor and Australia became a focus for evolutionary theory. Charles Darwin visited in 1836. Darwin wrote of Australia's great biophysical disadvantages, making shrewd observations on soil, vegetation, and climate. Coal deposits might provide Australia with energy for manufactures and transport, he wrote, but regarding Australia's future prospects, he concluded. Both Alfred Russell Wallace and Charles Darwin, co-founders of the theory of evolution, were deeply impressed by Malthus' works. Not only did they evolve virtually identical theories quite separately, but each made the extraordinary claim that Malthus' essay on population had been the inspiration that had caused the sudden synthesis of the main thesis.19 They presented a joint paper in 1858 at the Linnean Society in England. La Nauze's contempt26 in 1948 regarding Malthus, Darwin and associated biological determinists and economic and philosophical theorists, is also suggestive of some massive battle going on among the academics of political economy from the 1850s and well into the 20th century. His detailed analysis 27 of Hearn's approach to social problems in Plutology gives more indications of the pervasive influence of Malthus, Darwin, and Mill in Australia in Hearn's time and as subjects for discussion at Melbourne University. Hearn dominated a school of political economic thought in Melbourne, as a writer for the conservative Argus newspaper, as a member of parliament from 1873, and for at least the sixty years his book survived as the main economics text at the only university in that State. Here was a solid bridge for the continuation of the stream of Australian organic evolutionary thinking from the nineteenth century well into the twentieth. No other Australian economic texts were published in Melbourne for sixty years after Plutology. Coincidentally, or perhaps inevitably, in 1922 a charismatic geographer and adventurer stepped in just as Hearn's book was being removed from the syllabus and replaced with something more modern and less biological. The geographer's name was Thomas Griffith Taylor, and his students still talk of him.29 Taylor (1880-1963) argued that Australia could never support more than 65 million people due to its biophysical limitations. He later amended this to 20 million, assuming much higher per capita living standards. Not only does Taylor seem to have been the first to publish the connection between population numbers and affluence (consumption) against the background of local biophysical characteristics and constraints, but he eerily predicted the likely population of Australia as no more than 20 million in the year 2000.30 Until Taylor left Australia six years later (for North America 31) there was heated debate about Australia's population capacity.32 His work gave rise to, or consolidated, a popular Australian social movement rooted in biophysical science and kept Malthusian and Darwinian thought strong among Australia's natural scientists, although geography has since tended to fuse its ideas with anti-Malthusian economics. After WW II eugenics was dropped like a hot potato. Women's rights to birth control slowly came to the fore in Australian population policy debate. It was not until 1968 (a date coinciding with the release of Ehrlich's Population Explosion), that Australia's huge post-War immigration program began to be questioned in the light of its contribution to population growth and environmental impact. Subsequently, between 1975 and 1994, there were seven national enquiries and reports which purported to or actually did examine the population question within the scientific context of environmental impact. Five were The National Population Enquiry (Borrie Report) 1975, which paid lip service only, The National Population Council Report 1992, which recommended a population policy; between 1990 and 1992, The National Greenhouse Response Strategy and The National Strategy for Ecologically Sustainable Development, which identified nine elements of a population policy consistent with ecologically sustainable development 34; and The Ahrlburg Report 1994, on the foreign aid implications of the economic impact of unrestricted population growth. The Australian movement, Australians for an Ecologically Sustainable Population, which has a scientifically-based philosophy, was formed in 1988. In 1994 an Australian Academy of Science symposium recommended early population stabilization on ecological, economic and quality of life grounds. The Australian scientific research center, CSIRO, began the 'Ecumene project,' an internationally-linked population modeling and projection study using environmental and economic data. In that same year Tim Flannery published his Australian best seller, The Future Eaters 35, a scientific work on the ecological and economic evolution of Oceanic countries, which advocates a long term goal for Australia of between six and twelve million people. Also in 1994 the Australian Population "Carrying Capacity" Report36 (the "Jones Report"), was published. More than 90 percent of submissions, including those from Aboriginal organizations, argued against population growth. The enquiry's inspired recommendation was to separate political and administrative responsibility for population and immigration (to avoid contamination with racial issues). Immigration intake should become an instrument of population policy, rather than population policy a "long term side effect of ad hoc immigration policy." The (then) Labor government, with Senator Bolkus heading immigration and ethnic affairs (who had promised the ethnic vote to the Prime Minister of the day, by favoring family reunion and a high migration program), could not deal with the "Jones" report. The Chairman of the Enquiry, Barry Jones, was also the national president of the Labor Party. All hell threatened to break loose if the matter was put to parliamentary debate. An election was imminent. In the interests of Labor's return to power it was decided to keep a lid on the issues for fear of losing the ethnic vote. Jones expressed his opinion that the environmental vote would easily compensate for the ethnic vote, but failed to convince the Prime Minister. In September 1995 the Government published its response to the 1994 United Nations International Conference on Population and Development. This reactionary document was the work of the Department of Immigration and Ethnic Affairs. It was also the Labor government's only reference to the matter of national population policy, which it rejected as too controversial. Other issues raised at Cairo were dealt with in a superficial manner and with only token reference to the environmental connection. In March 1996 the Labor government was resoundingly voted out of power. In defeat the Labor Party has developed a population policy. But the battle was by no means over yet. 1. ⇑ "If only Malthus, instead of Ricardo, had been the parent stem from which nineteenth-century economics proceeded, what a wiser and richer place the world would be today!" John Maynard Keynes, Essays in Biography, London Macmillan & Co., 1933, p.120. 2. ⇑ For instance, Richard Dawkins, Jarrod Diamond, Tim Flannery, the Leakeys, etc. 3. ⇑ Thomas Malthus, The Grounds for an Opinion on the Policy of Restricting the Importation of Foreign Corn, London John Murray, 1815; and Thomas Malthus, An Inquiry into the Nature and Progress of Rent, London John Murray, 1815, republished in Pickering Masters The Works of Thomas Robert Malthus Essays in Political Economy, London William Pickering, 1986, Vol. 7. 4. ⇑ For Mill's population concerns (which his father shared) see J.S.Mill, Principles of Political Economy, ed. Ashley, book II, ch.xi, 1848. 5. ⇑ Neville Hicks, This Sin and Scandal', Australia's Population Debate 1891-1911, ANU Press, 1978, pp.95-96. 6. ⇑ Robert Heilbroner, The Worldly Philosophers, Penguin Books, 6th Ed., p.75. 7. ⇑ Robert Heilbroner, op.cit., pp.79-80. 8. ⇑ C.H.Wright, Conquering the Continent, Cheshire, Melbourne, p.12. 9. ⇑ Thomas Malthus, Grounds for an Opinion on the Importation of Foreign Corn, [Pickering Masters ed. ], p.163. 10. ⇑ Grimshaw, Lake, McGrath, Quartly, Creating a Nation, McPhee Gribble, 1994, p.46. 11. ⇑ Joseph Banks, Endeavor Journal, 1768-1771, "August", p.123, Ed. J.C.Beaglehole, Angus and Robertson, Sydney, 1962, August. 12. ⇑ Thomas Malthus, An Essay on the Principle of Population and a Summary View of the Principle of Population, the second essay, entitled, Summary View of the Principle of Population, Penguin Classics, Penguin Books, London, 1985, p.251. 13. ⇑ Line from the second verse of a famous poem by Dorothea Mckellar, "My Country," revised and published in her first book, The Closed Door, 1911. 14. ⇑ Tim Flannery (Ed. ),Watkin Tench, 1788, Comprising a Narrative of the Expedition to Botany Bay and A Complete Account of the Settlement at Port Jackson, first published in 1789; this edition edited by Tim Flannery, Text Publishing Company, Melbourne, 1996, p.102. 15. ⇑ Watkin Tench, op.cit., p.119. 16. ⇑ Watkin Tench, op.cit., pp.125-6. 17. ⇑ Grimshaw, Lake McGrath and Quartly, op.cit., pp.79-81. 18. ⇑ Tim Flannery, The Future Eaters, Reed Books, 1994, citing Darwin, C. The Voyage of the Beagle, 1845; republication by Edito-Service, S.A., Geneva. 19. ⇑ Encyclopedia Britannica, ed.1960, vol.23, p.302; and The Wonders of Life on Earth, Ed. Life Editors and Lincoln Barnett, Time Inc., New York, 1960, introduction by Sir Julian Huxley. 20. ⇑ Neville Hicks, This Sin and Scandal, pp.95-96. 21. ⇑ W.E.Hearn, Plutology or the Theory of the Effort to Satisfy Human Wants, G. Robertson, Melbourne, 1863. 22. ⇑ La Nauze, Political Economy in Australia, MUP, 1949, p.60, citing Hearn's Plutology, p.10. 23. ⇑ W.E.Hearn, op.cit., p.394. 24. ⇑ La Nauze, Political Economy in Australia, MUP, 1949, p.20, note 16, citing E.Scott, A History of the University of Melbourne, Melbourne, 1936, pp.204-6. 25. ⇑ La Nauze, op.cit., pp.204-6. 26. ⇑ La Nauze, op.cit., passim. 27. ⇑ La Nauze, op.cit., pp.59-65. 29. ⇑ Personal observation in the Australian population policy movement and J.M.Powell, Griffith Taylor, Australia Unlimited, UQP, 1992. 30. ⇑ T.G.Taylor, 1922, "The Distribution of Future White Settlement," Geographic Review, 10 375-402 and T.G. Taylor, 1937, Environment, Race and Migration, Toronto UP, Toronto. 31. ⇑ I would be most interested to hear from anyone if he gave rise to any similar movements there. 32. ⇑ Australian Population "Carrying Capacity Report" - One Nation, Two Ecologies, AGP, 1994, p.8. Chaired by Senator Barry Jones, and known herein as the "Jones Report." 33. ⇑ J.M.Powell, Griffith Taylor and Australia Unlimited, pp.29-30. 34. ⇑ "Jones Report," op.cit., p.12. 35. ⇑ Tim Flannery, The Future Eaters, Reed Books, 1994. Incidentally, Flannery will occupy the Chair of Australian Studies at Harvard University in 1998. 36. ⇑ "Jones Report," op.cit. We may have staved off Maltheus, in the short term, due to technological advances in agriculture and knowledge of ecological systems, genetics, and production. Malthus lived at the time of the Industrial Revolution. Like the Agricultural Revolution before it, the Industrial Revolution did increase the means of subsistence, and on a global scale. Historically, global food supply has matched global population, allowing the population to grow. However, the Earth cannot sustain the continued exponential growth of its human population. Dr Norman Borlaug warned in his Nobel Prize speech in 1970 of the "population monster" that must be tamed. His 40 years of food security reprieve has ended now, and the UN say that food production must increase by 70% by 2050! Nobody is taking the warnings seriously, and magnanimously imagine that human numbers can keep growing, and Nature will take care of us. In Cook's time, and at the time of the Industrial Revolution, there were new lands to conquer, and new colonies to plunder, and exiting native populations to exterminate. We've had the Green Revolution, and that was 40 years ago. It secured food for many people. Now, planet Earth has already been maximised with regards to population, and we are now in ecological overshoot. The "food security" issues of today is a euphemism for a Malthusian crisis - disguised to one based on the "challenges" of transport, aid, economics, markets, funding and technology. Between 2007 and 2025, food production in Africa must increase from its current production level of 2.2 billion tonnes to 3 billion tonnes to keep up with population growth. While human inventiveness can meet some challenges, and intelligence can overcome some of the Earth's limits by increasing outputs, the Earth's natural resources are still finite, and biological systems can only be replicated at rates constrained by available elements, water, biology, chemistry, ecology, climate science, soils and botanical/ecological systems.